Warren Gatland is the obvious choice to lead the British and Irish Lions on the 2017 tour to New Zealand, says new England coach Eddie Jones. Wales coach Gatland guided the Lions to a series win over Australia in 2013 and has been described as the "leading contender" to take charge again. "Warren did a fantastic job in the last tour and there's no reason why he shouldn't take them again," said Jones. "I think he would be a fantastic choice." Jones, who replaced Stuart Lancaster last year after England became the first host nation to exit a World Cup at the group stage, added he does not want to be considered for the Lions role. "Not that I'm not interested in coaching the Lions but my commitment is to coach England," he said in an interview on BBC 5 Live. "It would take time away from what I'm doing with England. We've got four years to get right for the World Cup [in 2019]. "As you know, England are eighth in the world, fourth in Europe. We've got to spend every day getting them right and to take time away from doing that wouldn't be fair on the RFU or on the players. "I'm not prepared to do that." Gatland's main rival for the Lions job is widely seen as Ireland's Joe Schmidt, with Scotland's Vern Cotter yet to taste success in the Six Nations. The Welsh Rugby Union has already said Gatland would not be prevented from accepting the Lions job, which would probably mean the New Zealander taking a sabbatical from his Wales role. When asked on Tuesday about the Lions, Gatland said: "I haven't had any conversations with anyone. You read things in the media but the Lions takes care of itself. 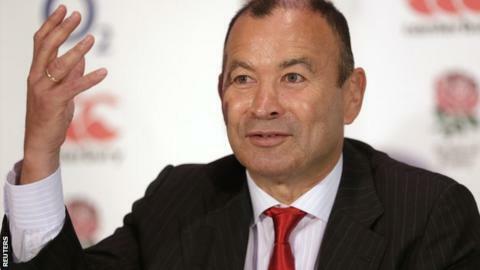 "It's something I'll think about later down the line and the whole focus is on the Six Nations."